What’s Up Wednesday? Thriller, baby! 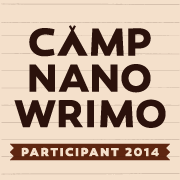 The idea of writing a revision outline, whether it be through the Monastery/Shrine or some other way. Since I’ve been through the Monastery once with “Children”, I’m wondering about trying to do the thriller revision outline a different way, possibly a modified snowflake technique or something like that. Enjoying the fall weather, watching Doctor Who and the new Big Bang Theory episodes, playing around with photo editors on the android tablet. 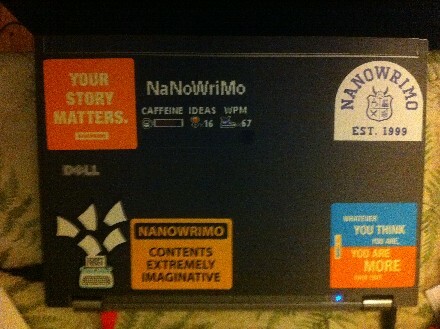 My new laptop has passed its two-week trial period and been adorned with the requisite Nanowrimo stickers! 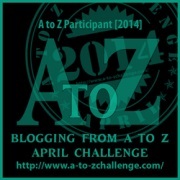 This entry was posted on Wednesday, September 24th, 2014 at 9:07 pm and is filed under Blogfests. You can follow any responses to this entry through the RSS 2.0 feed. You can leave a response, or trackback from your own site. One Response to What’s Up Wednesday? Thriller, baby! The new Big Bang was great! Love Penny’s new haircut. I don’t know how the writers have managed to maintain the quality and humor for so many years.